I am sending this email to you to inform you that Chester is having major surgery today. He is having a very large cancerous sarcoma removed from his stomach area. I was hoping you all could keep him in your thoughts today. 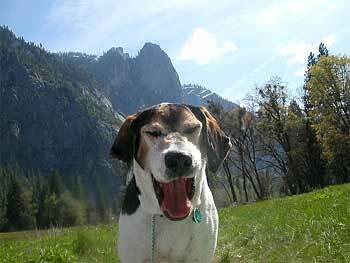 Attached is a picture of Chester that was taken last week up in Yosemite. He really enjoyed himself, as you can see.